Established in 1992, CL3 Architects Ltd. (CL3) is an internationally renowned architectural and interior design studio based in Hong Kong with regional offices in Beijing, Shanghai and Shenzhen. Led by Founder and Managing Director William Lim, CL3 is one of the most in-demand studios in the region. And with a 60-person-strong team of dedicated professionals specialising in hotels, restaurants, residential club houses, offices, retail and art installation design, CL3 has worked on a wide spectrum of architectural and interior projects. 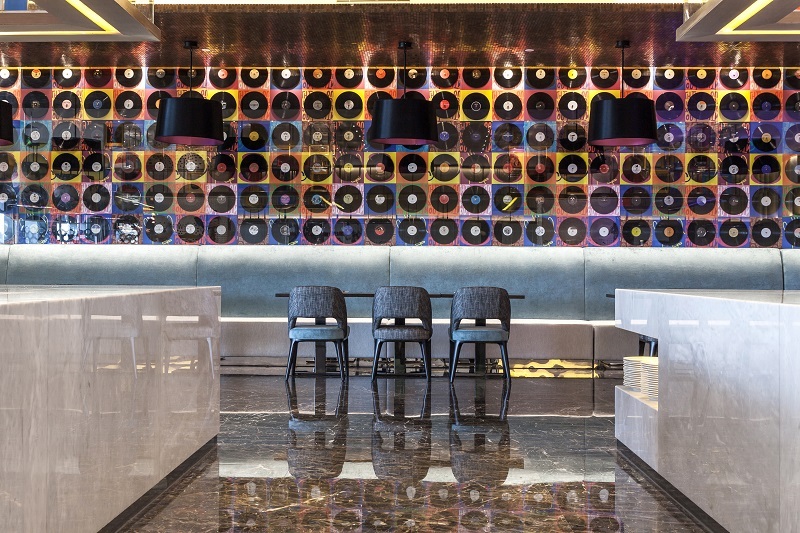 One of its most recently completed projects to open on the China mainland is the Hard Rock Hotel, Shenzhen. An internationally recognised brand, it is the first attempt the Hard Rock label has made to penetrate the China market. “Hard Rock came to CL3 aware of the high expectations Chinese customers have. They wanted to upgrade their signature style to accommodate the 5-star expectations of the market and to make it more luxurious. 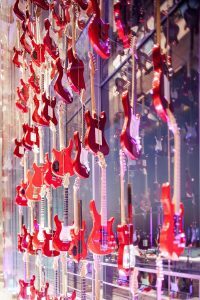 They turned to CL3 to enhance their project delivery to the market and add a Chinese twist to the Hard Rock energy, rock music and superstar memorabilia that is the DNA of the brand,” explains Lim. As a practice CL3 prides itself on treating every project as a unique challenge and paying attention to every detail – from the design of architecture to interior detailing, to creating human-oriented and quality design with artistic value. “Our aim was to work alongside the [Hard Rock] brand to create a vibrant and energy-filled interior. An obvious starting point in terms of integrating Chinese culture was to incorporate the colour red and an image of a dragon into the design. We custom-designed a golden dragon made of drumsticks and cymbals that would set a dramatic and ‘Instagram-able’ tone right from arriving at the hotel”, Lim adds. 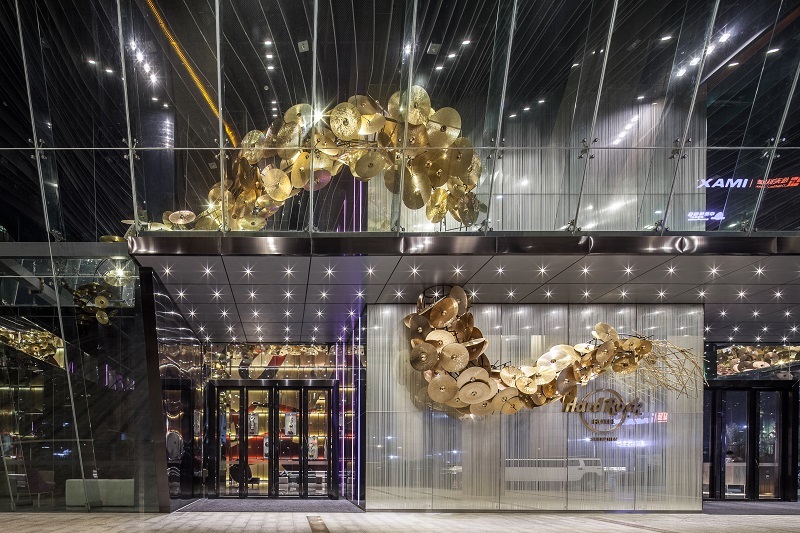 Protruding outside of the entrance façade, the golden dragon, made of 1680 of cymbals, meanders through the ten-metre-high lobby space to lead visitors through to a red glass elevator lobby that takes them to the reception and ballroom on the 5th floor. Here, another installation of 160 red guitars is suspended to form the backdrop of the reception desk and imitate the traditional Chinese screen. The lobby lounge on the right is filled with hard rock memorabilia and a jamming area for music lovers. By reinterpreting Chinese elements CL3 have brought a rational and controlled artistic element to the project that strikes a seamless balance between eastern and western culture. An all-day restaurant streams rock and roll music and uses vinyl records as its motif for the wall artwork and screen partitions. Meanwhile the transformation of the colour scheme from red through to yellow creates a subtle ambiance throughout the various dining facilities which include private dining rooms and semi-private alcoves for group events. The 258 guestrooms include standard rooms, suites and presidential suites, which Lim explains are designed to reflect the life of a rockstar on the road. Spacious rooms featuring circular beds and psychedelic carpets lead to open bathrooms complete with gold and black mosaic mirrors, creating a strong Feng Shui energy combined with vibrant ultraviolet lighting effects and custom-designed furniture inspired by mid-century vintage Chinese pieces. 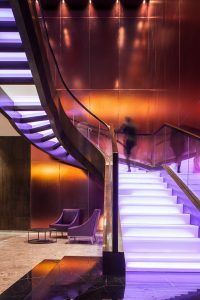 “The Hard Rock hotel represents a different artistic approach to finishes, furnishing and equipment for us. The result is a hotel that has become one of the most anticipated and original hospitality products to enter the China market. Despite its out-of-town location, it has become a huge success that we a proud to have been a part of ”, concludes Lim.